This will supposedly start around 10:00 on Thursday in your time zone. It lasts 7 days and is like the pre-quest for the Halloween event. 2. Ask 5 sims about getting into the Winterfest spirit. 3. Watch "A Winterfest Prince." 6. Plan out Winterfest home decorations. 9. Earn 3 stars at a party. 13. Give 5 sims homemade pie. 15. Plan to one-up the neighbor's decorations. 16. Complete a set of LlamaZoom tasks. 17. 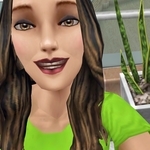 Share love of Winterfest log channel with 3 sims. 19. Winterfest Dance with 3 sims. 20. Complete a set of LlamaZoom tasks. 21. Give a Winterfest spirit hug to 5 Sims. 24. Complete a set of LlamaZoom tasks. 26. Complete the "Winterfest Fashion" event. 27. Give 3 Sims a Winterfest present. 28. Complete a set of Llamazoom tasks. I'm really annoyed with having to unlock the individual colors swatches now, too. On the plus side, I seem to have lost all desire to get all the items from events now. Still, I'm getting closer and closer to leaving this game behind. What I find annoying is the "prizes" that I've unlocked a new color. And not being told what item has the new color. Just give me a prize every few tasks that has all colors included please! I still don't like the random prizes. The item you got the color for is shown on the popup. Thanks. So tiny my bad eyes missed it. What's with the weird wreath? And string lights just random lengths draped on walls? Screams tacky fire hazzard to me. (Sorry if I'm stepping on someone's tradtion.) The graphics of the Winter Holiday decor are really disappointing so far. Especially after the truly excellent fall decor. They need to steal ideas from SFP. I want lighted windows, a snowman, candy cane yard lights, etc. And if you tap on the shopping bag that leads to the purchasable bundles, heirloom stuff, etc. there's on that's a box and shows you what items you have from the event and what colors of those items (and allows you to purchase presents for 25 simcash, too ). So far the wreath and lights are really disappointing. They're flat! They are completely flat. I wish they were shorter and longer - more like hung lights would actually be. At first glance they looked like necklaces, that would have been better, too. And don't people usually put lights around windows, on bushes outside, along mantels, etc. instead of draping random lengths of light strings from some invisible hooks high on the wall?